2009/2010. The key question is: What would the Tesla laboratory and the Wardenclyffe Tower, which Tesla had not been able to finish because of financial issues, look like in the era of Ubiquitous- and Grid-Computing, and the technological advance of today. The task will be to re-design those from the 21st century point of view. 2010-2011. PEACE – A Place of Encounter for Advanced Communication and Education at KIVU lake in Rwanda. 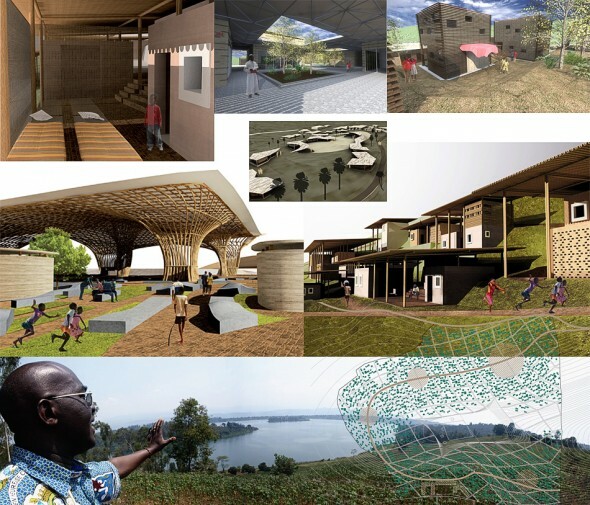 The competence center will be built at Lake Kivu, a lake in the heart of Central Africa. The property directly at Lake Kivu has 28 hectares. 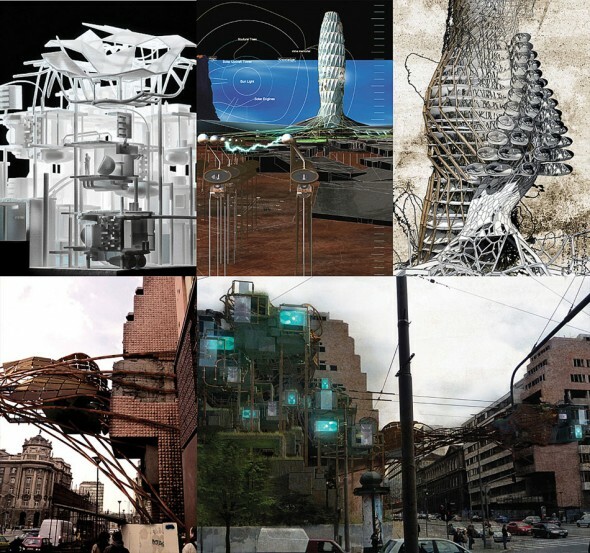 The clearly defined goal is to develop a regenerative architectural center, which explicitly takes into account the differentiated needs of the future users and creates reinterpretation of the relationship ”encounter / home / work / education”. The project PEACE wants to support active Peace Work for the successful regeneration of the society in Rwanda, growth in Africa and the creation of a base for social stabilization of the population in the direct border region to Congo and Burundi. 2005. Shelter -> Custody (Obdach -> Obhut). Habitable space structures, without predetermined scale. Dynamic “on-demand” variable configurations in an urban context. Intelligent materials and infrastructure. Body <-> Apparel -> Second Skin. 2007. Renewable and new energy sources, ecology and resource-saving technologies are important criteria according to Nikola Tesla. The conceptual part is based on the so-called “Tesla’s doctrine”, which is a fundamental philosophical reflections on the progress of civilization of mankind. 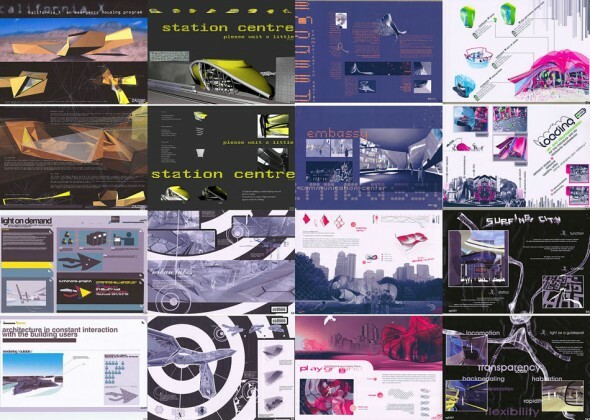 On our Second Life Sim “ORTLOS” we have realized 16 architectural projects by students. Just like on a real construction site, under real conditions, they have been virtually tested and simulated. The results have been published in a book “Wohnlabor für Nikola Tesla” which is available on Amazon. 2005-08. 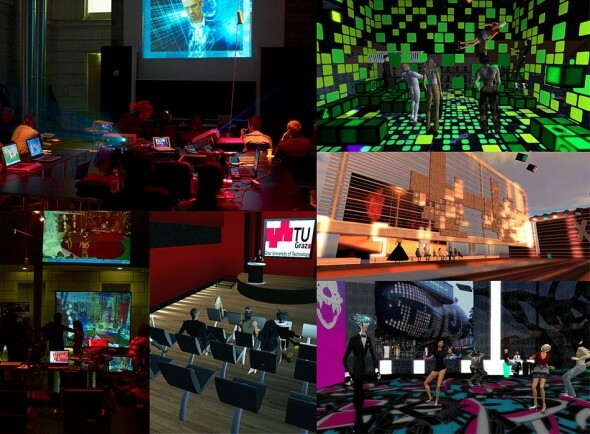 Second Life is a kind of enabling-platform for the students and it has been used as a virtual construction site, a single collaborative design platform, on which students can try and simulate their ideas before returning to “real life”. Students can build their designs directly and immediately in 3D and use it as a showcase for the global community as well. This procedure goes beyond a traditional planning process, because the space is in “real-time” understandable and accessible – like a virtual lab for architecture. Ortlos was leader of several international workshop, e.g. 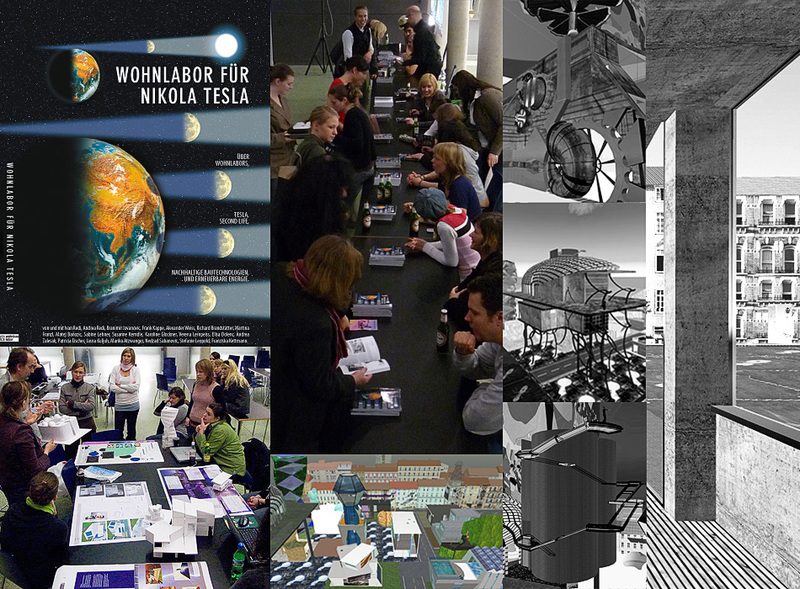 at TU Graz, Ecoweek Belgrade,La Biennale in Venice, Impulstanz Vienna. 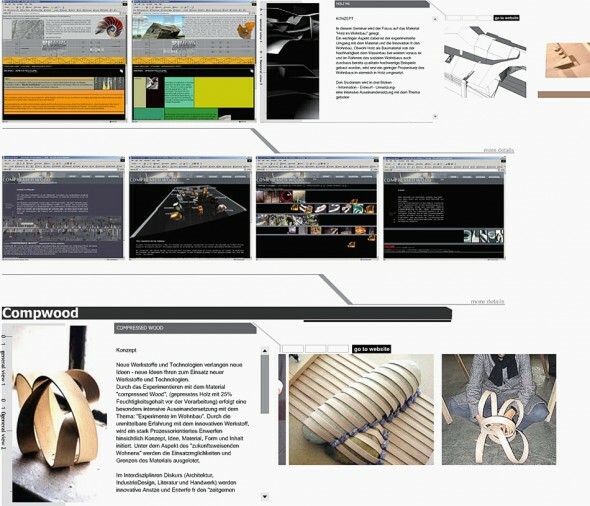 In recent years the focus was on green design, sustainable architecture and eco systems. 2004. In this interdisciplinary design course main focus was on the application of biological methods and systems found in nature to the study and design of engineering systems and modern technology. The major material used for an housing project developed by students was wood, more precisely the so called technology “Compressed Wood”. The students had also practical experience in bending the wood and experimenting with different forms. Ready to enjoy working with ORTLOS? Create stunning projects. Contact us.